Michael Oreskes has resigned as chief of NPR's newsroom following accusations of sexual harassment. 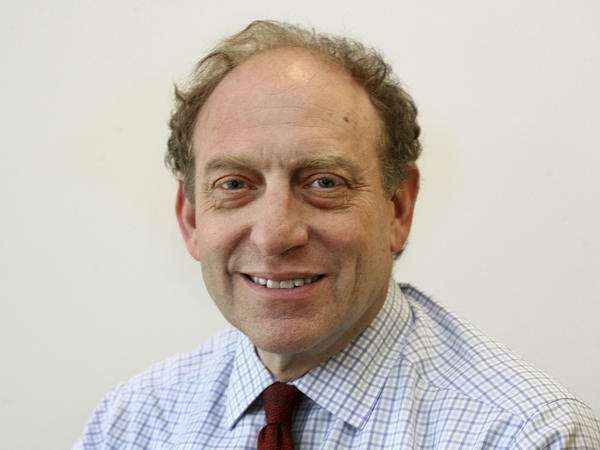 Last week was extraordinarily difficult at NPR, as the top newsroom executive, Michael Oreskes, was forced to resign in the wake of profoundly unsettling allegations that he had engaged in multiple incidents of sexual harassment over the span of two decades, including while at NPR. Oreskes had been at NPR since April 2015; his departure is yet another dramatic high-level staff change at an organization that had seen — until the last three years or so — a virtual revolving door of chief executives and heads of the news department. Listeners and readers have contacted me with many questions (and lots of anger). I am NPR's news ombudsman (or public editor), not a corporate ombudsman, and so many of the decisions made by NPR's corporate side are largely outside my purview, unless they reflect on NPR's journalism. That said, serious questions have been raised about NPR's handling of this situation. Chief executive Jarl Mohn (to whom I report, with a contract that is designed to keep my work independent) has apologized to staffers and announced that an outside law firm is being hired to examine NPR's actions in the Oreskes case. I hope for, and expect, a thorough assessment. In the meantime, here are answers to some initial questions that have been asked by NPR's listeners and readers about how the newsroom has responded to this situation, and how the broader issues of sexual harassment and sexual assault have been reported by NPR. The story about NPR was broken not by NPR's own journalists, but by The Washington Post, which wrote about two women who alleged they were harassed two decades ago when they met Oreskes to discuss job options when he was an executive at The New York Times. Both women had contacted NPR in mid-October about those allegations (and one had previously contacted NPR in 2016, as well). That the company was looking into allegations for a couple of weeks and didn't alert the newsroom frustrated some (I am referring to the issue of informing NPR for its reporting purposes, not the separate issue of leaving newsroom employees potentially vulnerable). But that is the way it should be, if the newsroom and corporate operations are to remain editorially independent (although I'll address, below, one problematic editorial aspect of the separation, concerning Oreskes' oversight of NPR's coverage of sexual harassment in general). NPR also got beat on the second-day story: The Associated Press, where Oreskes worked before coming to NPR, broke the story that he had resigned from NPR (under pressure). That rankled NPR employees, who wanted to hear it from NPR first, and, of course, no newsroom wants to get scooped about internal news by a competitor. NPR spokeswoman Isabel Lara told me a plan was in place to inform the employees who reported directly to Oreskes, followed by an email to the staff and the board and then an announcement to media reporters (including Folkenflik). While Oreskes' direct reports were being informed, the AP alert went out, however. "From the attribution in AP's first version it appears that Mike [Oreskes] gave a statement to them a few minutes before we could get our messages out," Lara said. Breaking news aside, most of the listeners and readers who have weighed in on NPR's own coverage of the story so far have praised it. Folkenflik came back with his own new details about internal complaints against Oreskes; All Things Considered guest host Mary Louise Kelly conducted a very tough interview with NPR's chief executive Jarl Mohn about the company's handling of the situation. Michael Dunne, who sits on the community support board for member station KLCC in Eugene, Ore., wrote to my office: "While almost every other news organization would 'lawyer up' and run from the situation, NPR has steadfastly and bravely covered the allegations against one of its top leaders as if the news organization was covering an unaffiliated entity." His was one of many such emails and tweets. I believe it was a poor decision to have the co-anchor of ATC —a female, no less —conduct it. Said co-anchor, by virtue of her employment, as well as her gender, was, in fact, part of the story and she should not have been given this assignment. Instead, NPR management should have quickly hired outside personnel — a producer and a reporter — to take over this investigation, conduct the interviews, and report the story. Using law enforcement agencies as an example, which routinely turn over investigations of their own personnel or operations to outside agencies, NPR should not be conducting interviews of its own personnel by members of its own staff. Not only does it unfairly place the (in this case) co-anchor in the vulnerable position of interviewing her own boss, it colors the whole approach to the interview (and subsequent investigation), possibly limiting the scope and depth of the questioning — not to mention giving the appearance of a cover-up. There is certainly a case to be made for either approach: covering a story in-house or finding an outsider to handle such stories (one news organization, Bloomberg LP, has a policy of not covering itself at all, which I do not think is an option here). However, finding an outside reporter to cover a fast-breaking story would have been time-consuming. Moreover, it would not necessarily have guaranteed better (or more credible) coverage. The proof is in the work: Kelly asked hard-hitting questions and did not seem the least bit intimidated by having to interview Mohn, and Folkenflik has reported unflattering details about the company's handling of the situation. The company's ethics policy explicitly addresses how to cover NPR: "NPR journalists cover NPR the same way they would cover any other company." Many media organizations have similar policies, and keep their coverage in-house, as The New York Times did when reporter Jayson Blair was caught plagiarizing and fabricating for his work. NPR's written protocol for such stories goes further than most, as far as I have been able to determine (and based on my own past experience as a media reporter who had to cover my own company). Folkenflik said the same to me: "I don't know of another news organization that endeavors harder to tell the news about itself with the same dedication and intellectual honesty that it would try to bring to reporting on any other company." David Sweeney, NPR's chief news editor, who oversees newsgathering, provided me with the written protocol, which includes working only through Folkenflik's own editor (Pallavi Gogoi, NPR's chief business editor) and the deputy managing editor on duty. There is a back-up chain of command should one of those editors have a conflict and have to be recused if she or he is "involved in the issue or event that is the focus of the story." The overall goal is to immediately isolate Folkenflik's reporting from any wider newsroom or corporate pressures. "Nobody in the upper ranks is allowed to guide or see it," Folkenflik told me. In this case, both Gogoi and Terence Samuel, the deputy managing editor who is handling the coverage, are fairly new to the company and thus have had less time to develop internal allegiances, a status which also bolsters their independence; Gogoi started in July and Samuel in May. Because Folkenflik covers NPR as he would any other company, he did not listen in on the off-the-record all-staff town hall meeting on Friday (which, full disclosure, I was asked to moderate, as an independent employee). He tweeted: "I am not attending today's NPR all-staff as it has been deemed off the record. So I am relying on sources there to inform me." He later added, "I made decision not to attend all staff. NPR said it was off record to allow women to share very personal accounts. Two did so." Instead, he talked to employees afterward, as he would had the session been held by any other company he covers, and based his (thorough) story on that reporting. NPR did run into one significant snag as a result of its policy restricting the number of people working on this story. There was a long lag between Folkenflik's initial on-air report for a late edition of All Things Considered at 7:35 p.m. ET on Oct. 31 and the time the story was posted on NPR's website (not until after 11 p.m.) For those who did not hear the on-air report but knew about the Post's story, it might have appeared as though NPR were avoiding the story about itself. Mark Memmott, NPR's standards and practices editor, said the delay was a result of Folkenflik having to do all the work himself; he had to file short pieces for the newscasts, as well. "It would have been good to have a digital reporter" write the Web version, Memmott said, instead of having Folkenflik handle it on top of his other duties. Going forward, NPR should find a way — with all the necessary safeguards — to bring in more help for these kinds of stories. Also, as many in the newsroom (and a few outside) have argued, NPR should assign a female reporter to the topic, in addition to Folkenflik. Sexual harassment is not uniquely a woman's issue, but in this case the story directly involves women in the NPR newsroom, some of whom felt intimidated by what they described as sexual advances by the newsroom leader. NPR has had more women than men discussing these issues, overall, but having another reporter on the story, one with perhaps a slightly different perspective, can only enhance the coverage. A number of listeners and readers have expressed unhappiness that Oreskes, as NPR's top news executive, might have been overseeing NPR's coverage in recent weeks of the sexual assault allegations leveled against Hollywood executive Harvey Weinstein. Those allegations touched off a national conversation about sexual harassment. If Oreskes was helping shape that coverage, is it discredited or somehow tainted? The two anonymous Oreskes accusers, from his days at the New York Times, themselves told The Washington Post that they came forward now because they believed Oreskes was overseeing the coverage of recent sexual harassment stories, including Weinstein, and should have recused himself. The Post quoted one woman as saying: "The idea that he's in charge of that coverage is just so hypocritical to me." Another broader question has been raised internally by NPR journalists themselves. NPR's corporate side formally rebuked Oreskes after an October 2015 complaint by an NPR staffer, and was informed of another allegation from his past (one of the complaints from his Times era) in October 2016. The corporate side of NPR does not play any role in newsroom operations, and that is admirable. Nonetheless, why did management somehow not find a way — without giving details — to tell the newsroom that Oreskes needed to be recused, or recuse himself, from overseeing coverage of sexual harassment and sexual assault (which predates Weinstein, and includes, during Oreskes' tenure, numerous prominent figures, including President Donald Trump, former Fox News chief Roger Ailes, and former Fox News commentator Bill O'Reilly)? This is separate and apart from the question of whether the company acted quickly and aggressively enough when confronted with the allegations against Oreskes — which Mohn has acknowledged did not happen. There were also whispers among a few in the NPR newsroom that the Post was chasing a story somehow related to Oreskes and sexual harassment, although the details were not known. Christopher Turpin, Oreskes' deputy (and now the acting head of news at NPR), was one who heard them. He told me that when he heard the first whispers, "I wish I had directly confronted Mike and asked him to recuse himself." That said (and I agree that would have been the correct action), I have found no evidence so far that Oreskes, while certainly overseeing the newsroom in general, had any major role in shaping the coverage of this issue. When Oreskes took a direct interest in a subject he could be intense, firing off exclamation-point-filled email after email to the news staff, weekends and late nights included. That did not happen in at least the Weinstein case, as far as I have been able to determine. "To my knowledge, Mike took no part in our coverage" of Weinstein, said Turpin, who would have been one of the main recipients of any flurry of emails had Oreskes gotten involved. "He did not weigh in in any significant way," Turpin said. Sweeney said Oreskes was out of the office for at least one extended period after the Weinstein story broke in early October, and added, "I did not have one conversation with Mike about Weinstein." Sweeney said a search of his inbox showed no email exchanges, either. Ellen Silva, who oversees NPR's cultural coverage (including Weinstein's movie studio), told me Oreskes "usually had a lot of probing questions to ask in the morning meeting and I remember noting at the time that he didn't with this story." Samuel, the deputy managing editor handling much of the Weinstein coverage, told me that he thinks Oreskes' role is a fair question to raise, but added: "I don't see any evidence of Mike having any damaging influence on the coverage of the sexual assault story." And, finally, Folkenflik, who was the reporter responsible for covering the Fox allegations, and for some of the Weinstein coverage, told On the Media (a public radio program that is unaffiliated with NPR) that Oreskes had "no direct oversight" of the coverage and did not shape it in any significant way. Another way to assess it, of course, is by the stories that NPR turned out on the Weinstein allegations. Turpin said the coverage "speaks for itself. We've covered it very aggressively." I would agree. Between Oct. 5, the date of NPR's first story about the Weinstein allegations, and Oct. 31, when the Oreskes story broke, NPR had nearly five dozen on-air or online pieces on the topic of the specific allegations, other men against whom allegations were made, or the broader issue itself. NPR did not in any way shy away from the story. These are just a few of the early questions that have been raised about the Oreskes story. Among other issues, his departure also has potential consequences for the direction of newsroom operations going forward. I'll explore that, and other issues related to this situation, in upcoming columns. Editorial researcher Annie Johnson contributed to this column.